Can someone Identify/Date this old cast iron? Discussion in 'Cooking Equipment Reviews' started by rpmcmurphy, Dec 6, 2009. I tried googling around but couldn't find an exact logo match. I also have a bigger one, no markings, except a heat ring, it needs some cleaning up on the bottom so there may be a marking under that. Got these from my wifes grandfather, who is 85...he's still with it, but is not sure where they came from but said they could possibly be from his wifes mother. The logo looks pretty new for the griswold one, but not sure. Made bacon and eggs on them this morning (all of them!) and they performed great...more non-stick than my non-stick. Here is a link to see if the one you have is a "real deal" and not a fake ...there are alot around that are reproductions. 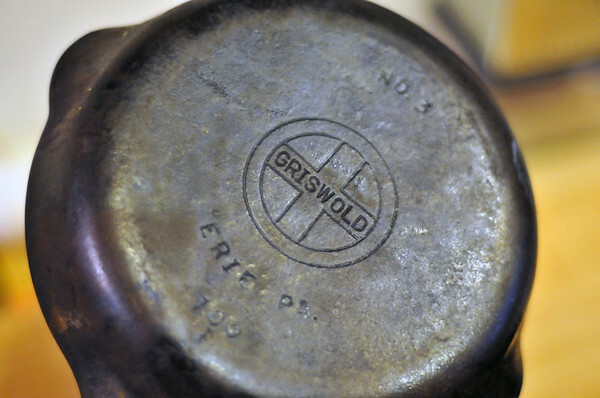 And there is a link on the top to a fourm of griswold collectors that iam sure will help you to date it. Interesting. When were the reproductions made? These are most certainly pre-1960. I am no expert but from what I can determine most were made in the 1950's. 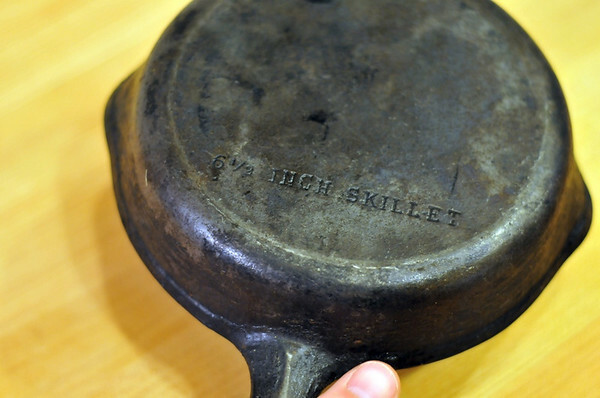 When collecting cast iron started to take off. Try this link to the Wagner and Griswold Society. They may be able to help.